Everyone needs a stash of quick, easy quilt patterns. I call them my go-to patterns. I go to them when I need a baby quilt for that shower on the weekend I forgot about. 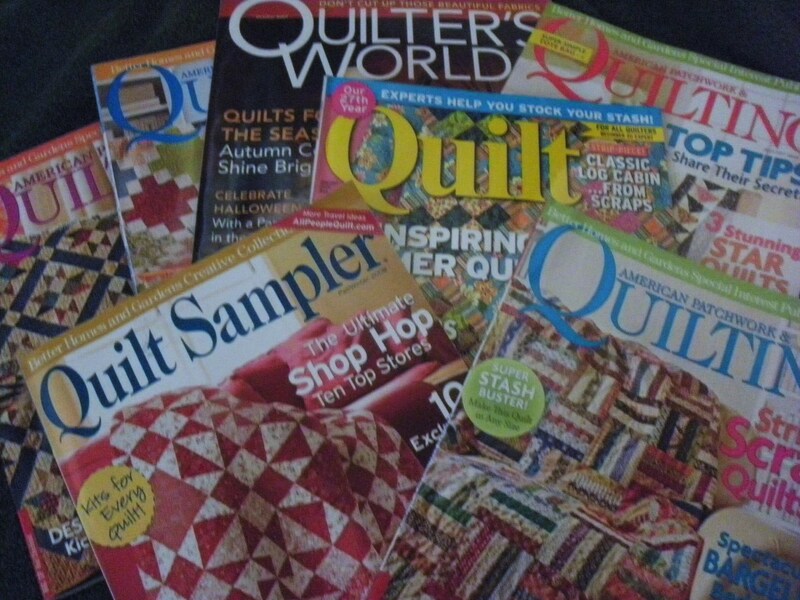 I go to them when the holiday season has slipped away and I need a quilt for a relative. I actually go to my go-to stash a lot. 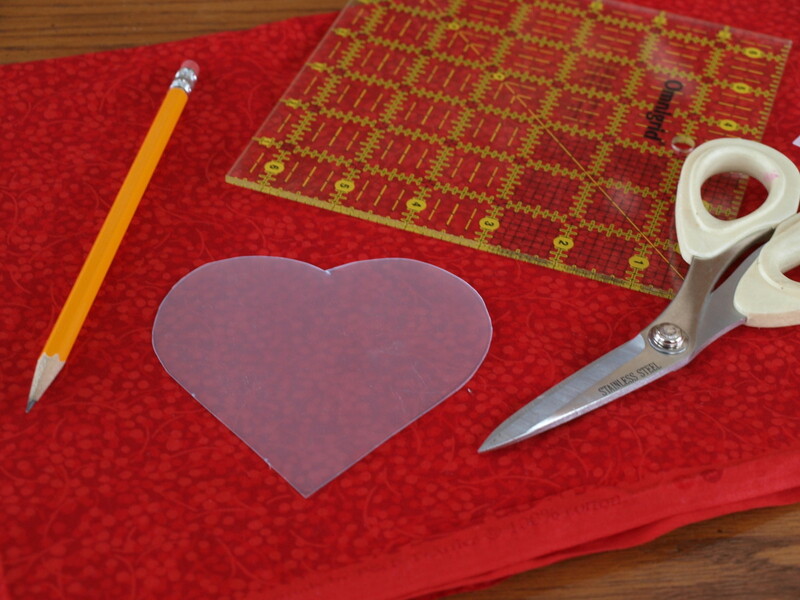 This is the quickest quilt top you can create because there is no cutting and no sewing! What you do is you buy a printed panel. This works best if the recipient of the quilt is under the age of twelve. There are plenty of fabric panels around of the popular cartoon characters. Some I have seen are Spiderman, Batman, Disney and Cars. 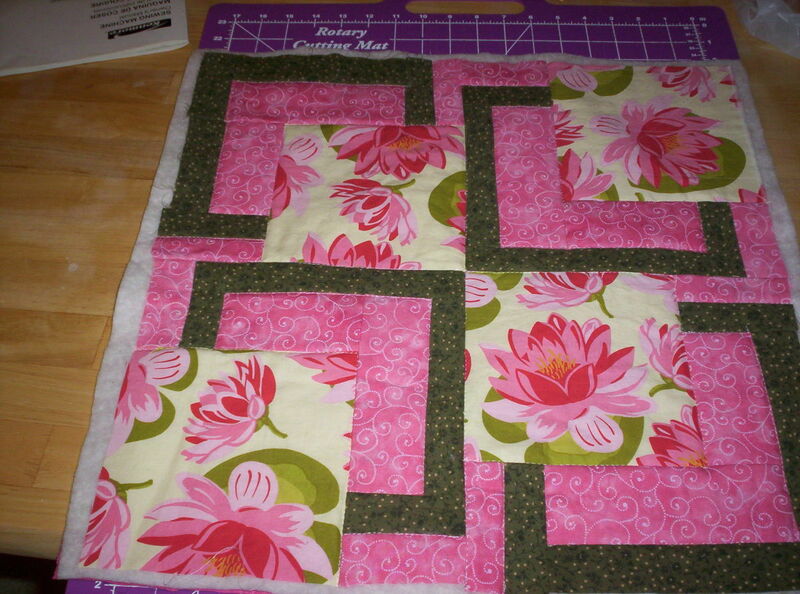 Once you have the panel, you simply add borders around the sides and you have a quilt top! It does not get easier than that. Plus, a child would love having a quit featuring their favorite hero. Fabric companies know the popularity of panels and are starting to make more. I remember recently walking into a quilt shop and could not believe how beautiful the panel baby quilt was. Use the right backing, borders and binding and you've got yourself a hit! If you have a hard time choosing coordinating fabric, this is the pattern for you. You only need to go to your local quilt shop and ask for a charm pack. A charm pack is a pack of fabric squares. 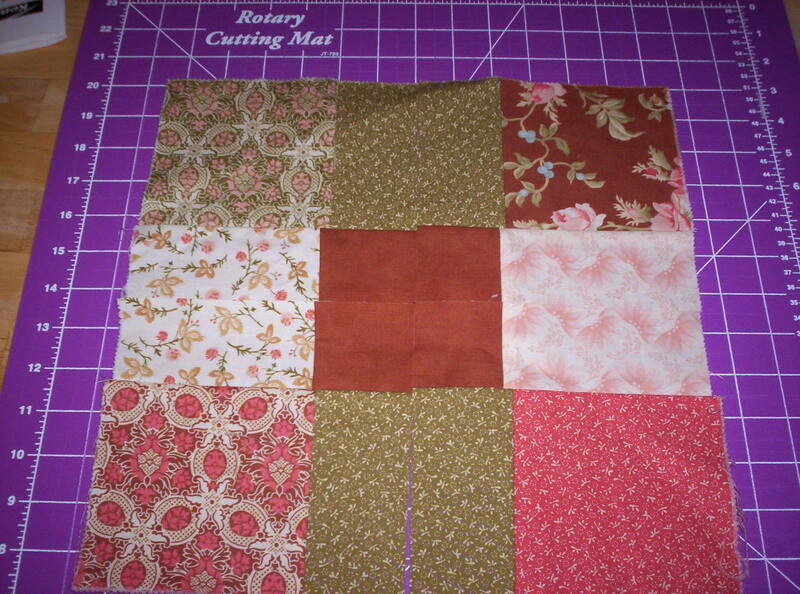 Sew 9 of those squares into a 3 by 3 square, each a different piece of fabric like what is shown in the first picture. Now you have what's called a 9-patch, but that is not the fun part. Take the ends of the now 9-patch square and fold it in half. Press with your fingers. Open the crease and cut alongside it. Then take your lengthwise set and fold it in half. Cut along the crease. You should have 4 squares now. Aren't those gorgeous quilt blocks? Just follow the above instructions for the rest of your charms to create as many blocks as you want. If you are like me, you might have to make another trip to the quilt shop so that you will have enough squares. Now this is the pattern I wish that I had when I first started quilting. You will like this if you like the "scrappy" look. Basically, you only need 20 coordinating fat quarters. Some quilt shops will sell you a kit with the fat quarters already selected and ready for use. You cut the fat quarters in stacks according to the directions and then sew the pieces back together assembly line style. It really gives the impression that you really worked hard on it when you really did not. 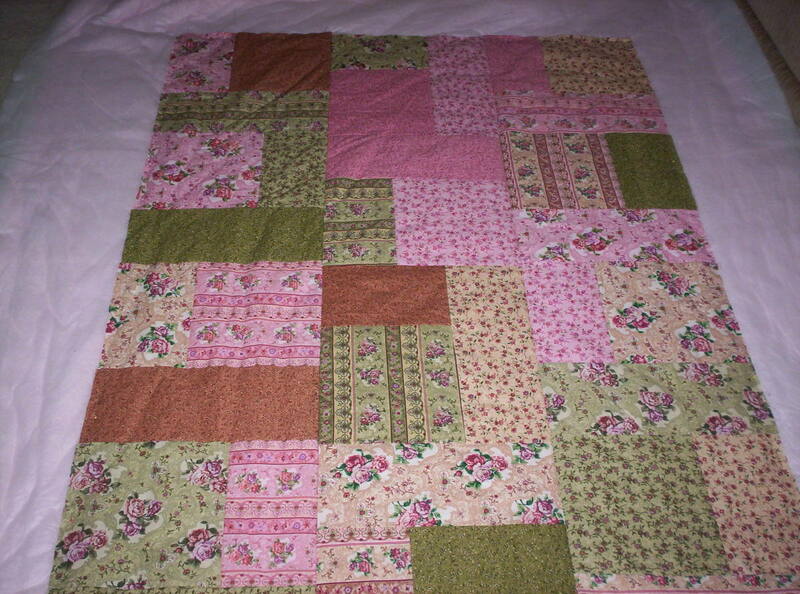 Although the pattern is called "Turning Twenty," using twenty fat quarters is too big for me. I usually only make 12 blocks which is enough for a lap-size quilt. I really and truly love this pattern to death. Of all the easy quilt patterns I've tried, this one is the best when it comes to versatility. By changing the fabric of the big, focus block, you can change the entire quilt. Plus, there are instructions for different sizes. No trying to figure out how much fabric you need to buy for each size you want to make. Yeah! I like the smaller size because I make what I call "cubicle art." Who would gamble hanging a quilt in their office at work? Who has the space? The mini quilts, though, are perfect to give to folks to brighten up their cubicles. They are very quick and very easy to make. You can also use this pattern as a "goal" quilt. Have you ever heard of visualizing your goals, the things you want to accomplish with your life? Each block could represent a different goal. For example, if you want to run a marathon one of the blocks could be fabric that features runners. If you love gardening, another block could be of tomatoes. It's an easy way of keeping your goals in front of you while creating something beautiful to look it. So, there you have some easy quilt patterns to choose from. They're all winners so get to stiching! 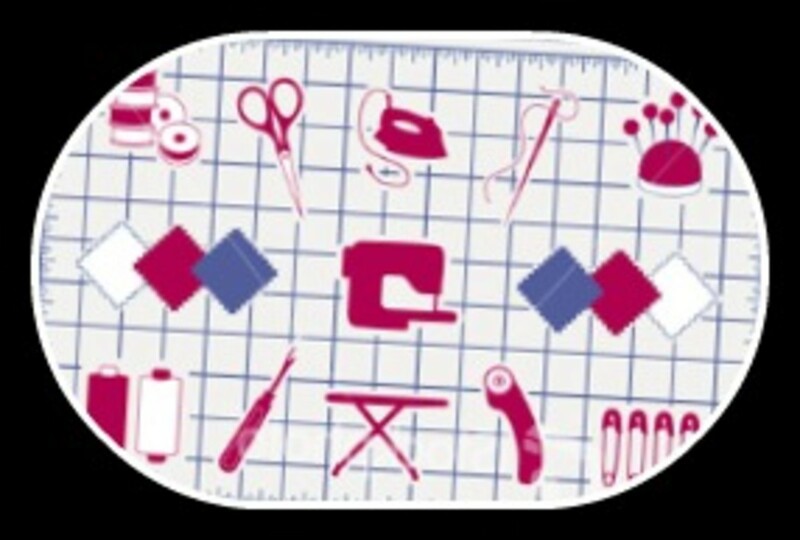 Excellent quilting resource. Lots of step-by-step beginner quilt patterns. This is a huge resource which is a blessing and a curse. Possible information overload, but definitely worth a look. Thanks for the ideas. The disappearing nine patch was my first quilt. Voted up and useful. I really enjoyed this post, and love the instructions for the Disappearing Nine Patch. 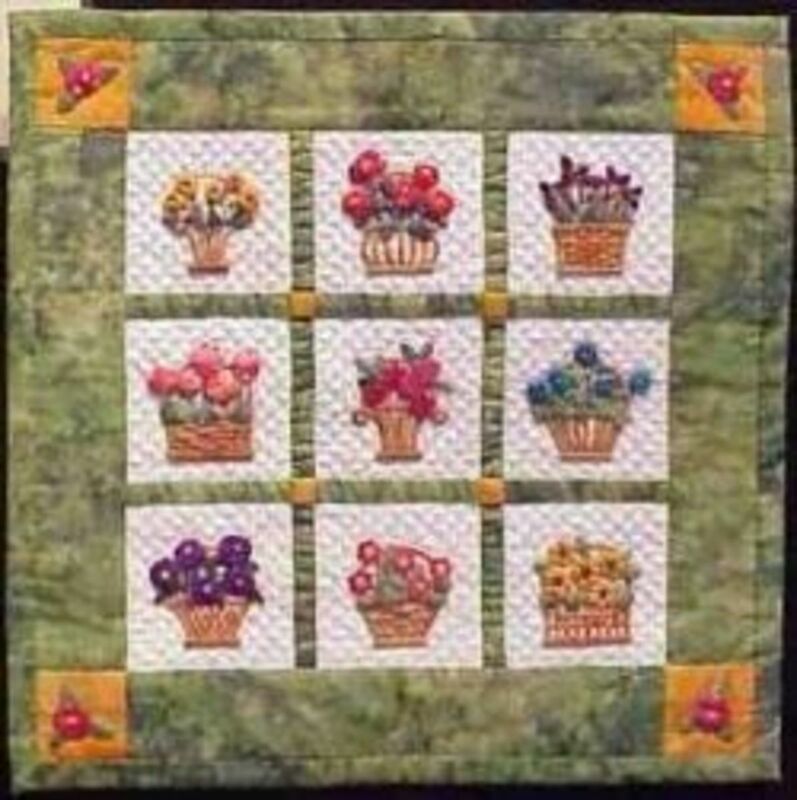 I am featuring it at tutorialsandpatterns.blogspot.com. Some really useful information here. I agree that it is great being able to fall back on some quick and easy quilt patterns when you need a special gift in a hurry! I've wanted to try the disappearing nine patch for a while now, just haven't done it yet. Another easy patter I've used often is the crazy nine patch. You can make a top with it in an afternoon. 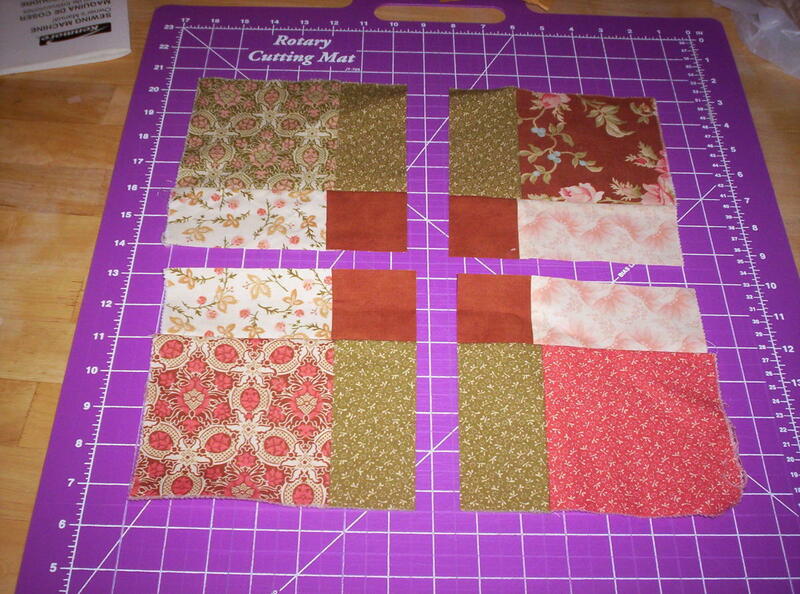 Also, I've done easy quilts by cutting 6" blocks (or any size really) in coordinating fabrics and sewing them together. It works well for baby quilts. Nice Quilt patterns and information great hub! For the Turning Twenty pattern did you reduce the size of the block - because 12 blocks would measure 54 1/2" x 70 1/2" - way too big for a crib size quilt? Please let me know - I'm excited to try the pattern. Thanks. 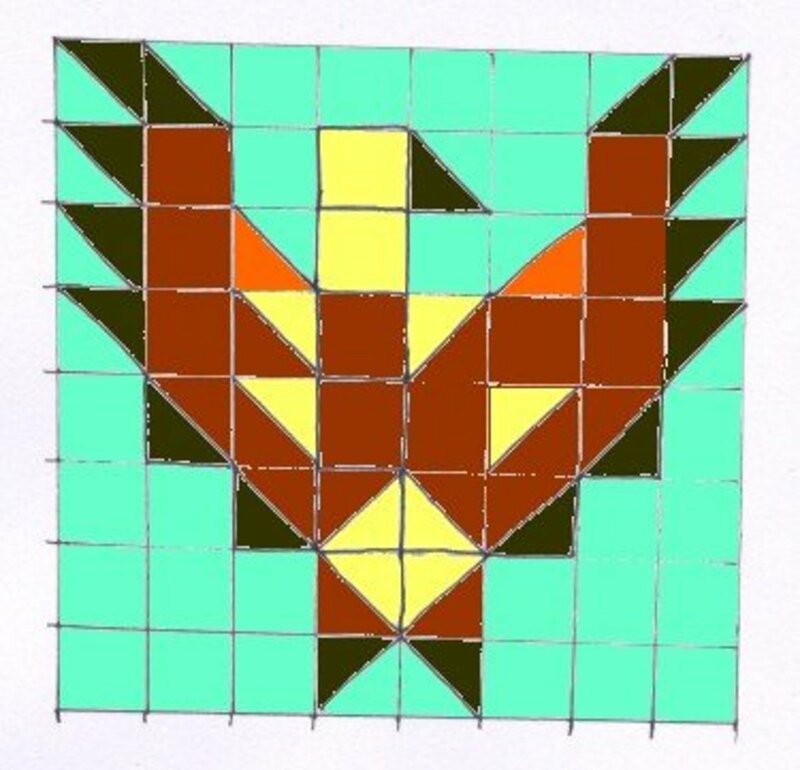 Can you tell me where I can order the BQ quilt patterns? Hi eraclis, Thanks for stopping by. Unfortunately, these are not my patterns to share. They are available for sale on line, though. They are so versatile that they really are worth the price. Would you be willing to share your patterns? Thank you thank you!! I loved this article!! I am working on my third quilt ( 5 quilts started, but only two finished...quilt tops as they say a quilt does not make) and I really learned a lot just from this article! Again thank you! I will be peeking over your shoulder now!